Bolinao is nestled on the northernmost tip of the western portion of the province of Pangasinan. The town is getting a lot of attention as a heritage site with its ancient church surrounded by old ancestral houses and the Bolinao Skull with golden ornaments on its teeth. 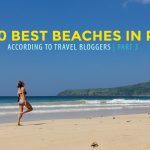 But Bolinao is first known as a beach destination with its white-sand-covered shores. Patar Beach is the most popular among locals and tourists. Revelers enjoy the white sand and the lively vibe of the place. 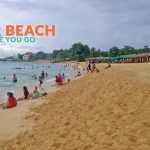 But apart from the white-sand beaches, Bolinao also boasts unique ones like Andron Buyanging Beach, also called Batog Beach. 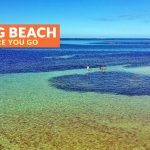 The shore is dotted with rock formations and the waters are mostly shallow; hence, the locals also prefer to bring their kids here for a dip. As for the accommodations, the coastal town has a wide array of choices, from budget-friendly to high-end ones. You just need to book ahead of your visit if you are going during the peak season, which is summer (March to May). After your historical tour around town or your relaxing time at the beach, you will find lodgings that will suit your taste and budget, whether you want it to be basic or luxurious. Here are the top recommended resorts in Bolinao as rated by Agoda users as of August 2018, in no particular order.